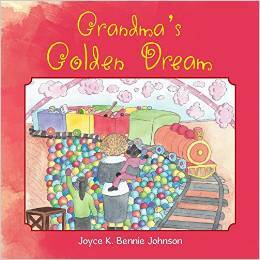 Grandma’s Golden Dream, a story about a grandmother and her 2 granddaughters that goes on an extreme adventure. Where a dream becomes a reality after drinking a cup of “Magical Golden Hot Chocolate”. An adventure about taking the 2 granddaughters anywhere in the world that they desire to go, which takes them to a place that any child would “Dream” to go. A place filled with candy, ice cream and every kind of toy imaginable. 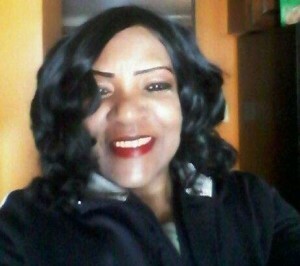 Joyce Bennie is a very spiritual and talented woman of God who loves Children. Joyce was born and raised in Cincinnati, OH and has positively impacted many children’s lives around the city with her love and kindness. God revealed to her years ago that one of her talents was working with children and helping them achieve their dreams in life. God also has blessed Joyce with the ability of being an inspirational writer. She has already written several other children’s stories aside from Grandma’s Golden Dream. And also several spiritual based novels that will help those that’s living for God to endure life’s hardships and storms. All will be coming very soon! If you have children with a huge imagination and loves the adventure of having fun, then be sure to grab a copy of Grandma’s Golden Dream. They will certainly have fun and enjoy this lovely children’s story. To order your copy of Grandma’s Golden Dream, click the button below.